Although Nvidia was the first to launch their G-Sync variable refresh rate technology, there’s no question that AMD’s FreeSync technology has caught on significantly faster. In the past few years, AMD’s FreeSync technology has attracted over 20 display partners who have launched over 121 displays over the years, significantly outpacing Nvidia who has only attracted 8 display partners with G-Sync. Today, AMD announced their next generation FreeSync technology, creatively named FreeSync 2 which will now feature better HDR support. The new feature follows several new major developments to FreeSync such as support for borderless full screen and LFC (Low Framerate Compensation). 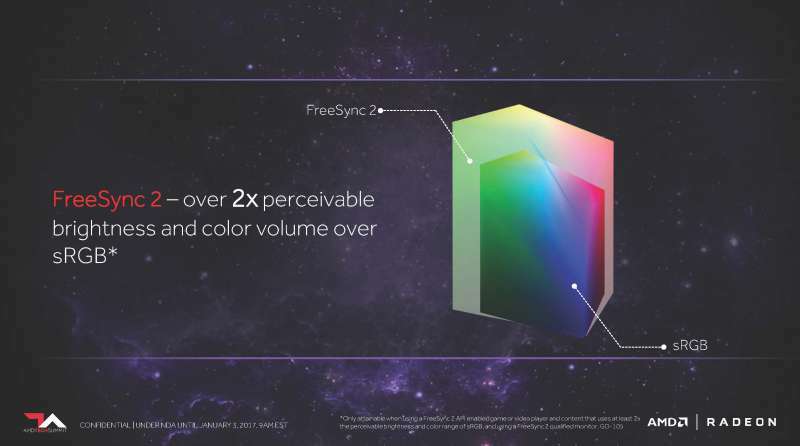 The biggest feature for FreeSync 2 is better HDR support. Unlike your average 8-bit sRGB monitor, a 10-bit HDR monitor can support over 2x perceivable brightness and color volume over sRGB. 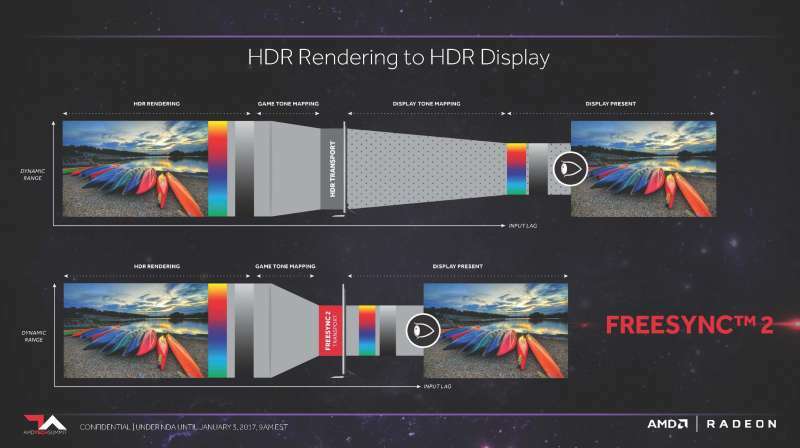 With FreeSync 2, a HDR display supporting FreeSync 2 will be able to interface directly with the game engine which will do tone mapping directly in the game rather than in the display. This will help significantly lower input lag as shown in the slide above. FreeSync 2 also supports automatic mode switching which will automatically tune the displays settings when an application that supports HDR is launched. 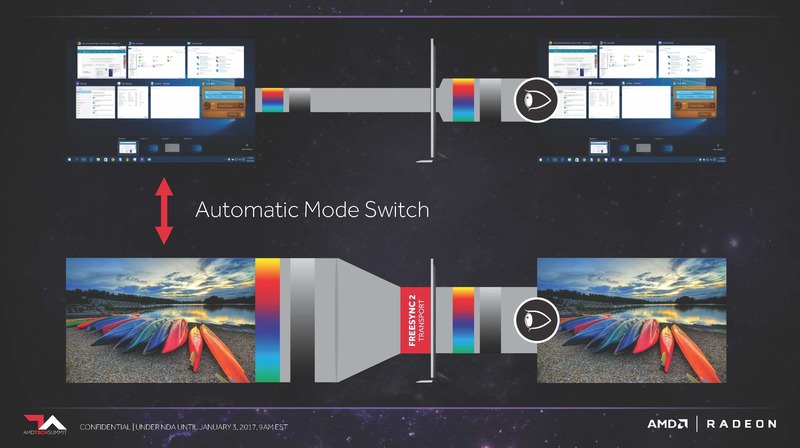 This will allow applications such as games with HDR support to automatically take advantage of the HDR capabilities of the display then switch back to the original Windows settings once the application is closed. 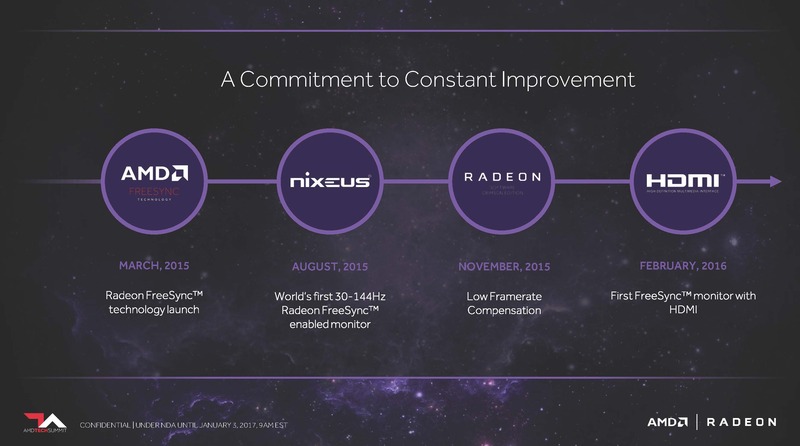 Currently FreeSync and FreeSync 2 will co-exist. 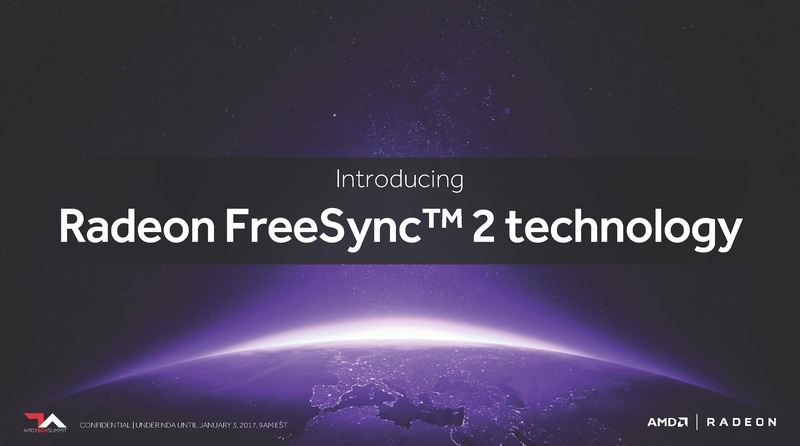 FreeSync 2 monitors are expected to launch shortly with the BenQ, Acer, and Samsung already slated to introduce monitors carrying FreeSync 2 certification.